Each patient is cared for and prioritized by our experienced dental professionals. Click on each team member's image to see their bio. 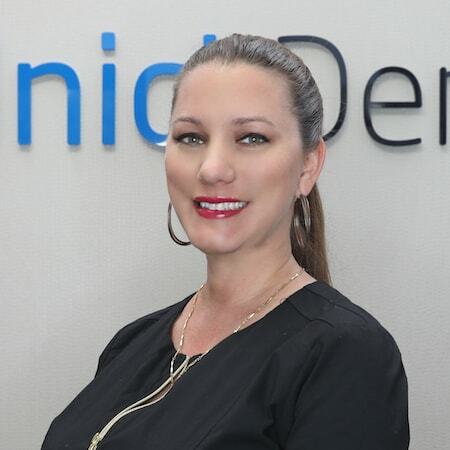 Jennifer graduated with her associate degree in accounting and has over 17 years of experience in the dental field. 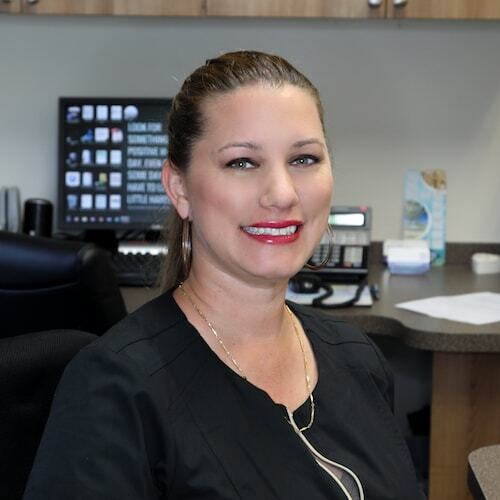 She has worked with Dr. Rudnick for the last 15 years providing outstanding dental care in Palm Beach Gardens. Whether your question is regarding insurance, billing, or procedures, Jennifer will always be able to answer you or find you the answer in a timely manner. Our patients often compliment her warm, caring personality. Jennifer says she really feels a sense of satisfaction when she can help our patients find a way to afford the dental treatment they need or want. Jennifer has three wonderful children that keep her involved in many sports-related activities. Heading up north and traveling are just a couple of her passions outside of the office. 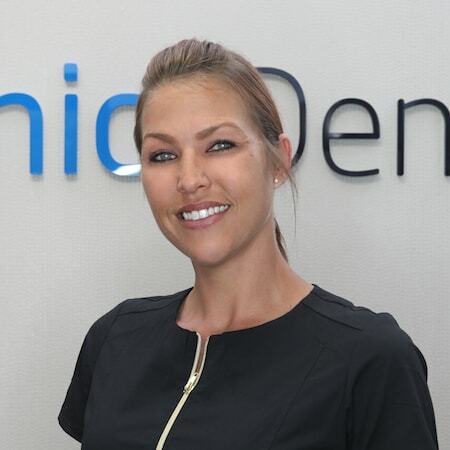 Nikki brings 15 years experience as a dental hygienist to the office. She has continued her education through her involvement in the ADHA. 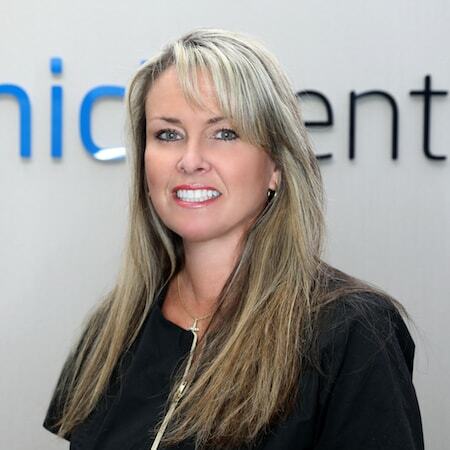 As a hygienist, Nikki enjoys educating patients on oral health needs. She believes that each patient is an individual and deserves to be treated as such. Her kind, caring personality helps our patients feel at home in our office and comfortably relaxed during their appointments. The greatest joy of her job is seeing patients smile and being a part of all the amazing advancements in dentistry that we can do in our office. In her time away from the office, Nikki enjoys spending time outdoors golfing and taking long walks on the beach. She also spends time cheering for and watching her child’s activities. 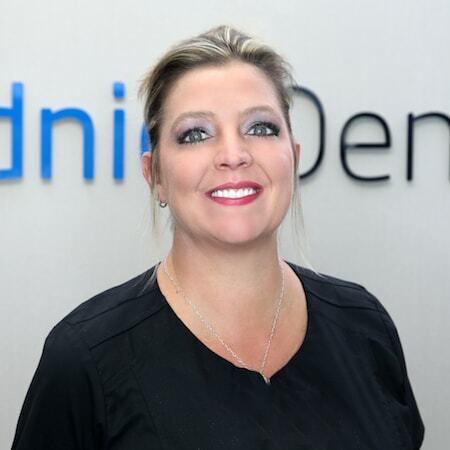 Tammy is a certified dental assistant bringing 17 years of dental experience to the office. She maintains her certification by attending continuing education courses throughout the year. Tammy is soft-spoken, with a caring chair-side manner that brings a sense of tranquility to the patient. 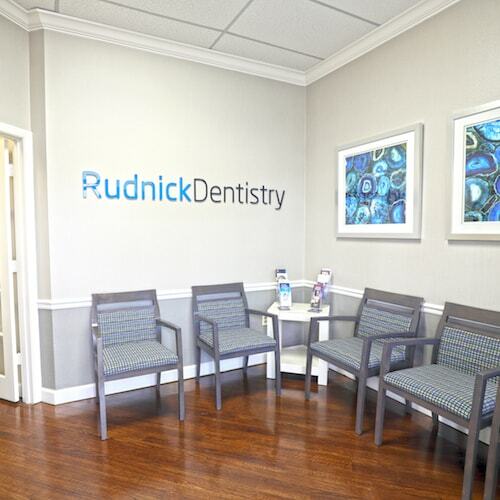 She will be at your side while Dr. Rudnick improves your smile and your oral health. She truly loves providing great dental care to our patients. What she loves most about her job is helping patients and seeing a smile on their faces when they leave our office. After hours, she likes to spend her time with family and friends, spending time outdoors camping, biking, walking, and watching her children grow and change. She is also very active in her church. Erin has been in the dental field for 17 years, working with Dr. Rudnick. As a dental assistant, her outgoing personality and caring nature help our patients, even the most fearful, relax and feel comfortable during their treatment. She will be at your side while Dr. Rudnick is improving your dental health. She feels very fortunate to work at a place that provides the best and most advanced dental treatment possible. We are fortunate to have her as part of our dental team! In her time outside of the office, Erin enjoys spending time with her family and friends, swimming, reading, and walking her Schnauzer. Liz has been in the dental field for 15 years and has been with Dr. Rudnick for the past nine years. Using her vast knowledge and know-how, she is happy to answer any questions regarding insurance, billing, or procedures. Liz’s friendly and genuine personality makes her popular with our patients and puts them at ease. Her main goal is to help our patients find a way to afford the dental treatment they need or want. Away from the office, Liz loves spending time with her husband and her German Shepherd, Zeus. We aim to make your visit with us the best you have ever had. We want you to be at ease during your visit, so our kind team will make you feel welcome and at home right from the get-go. We take the time to listen and discuss your goals, reservations, and concerns. Our team will also take the time to educate you about any treatment before it begins so you can feel confident about your decision. Our state-of-the-art office is filled to the brim with modern technology designed to make your visit more comfortable, efficient, and relaxing. 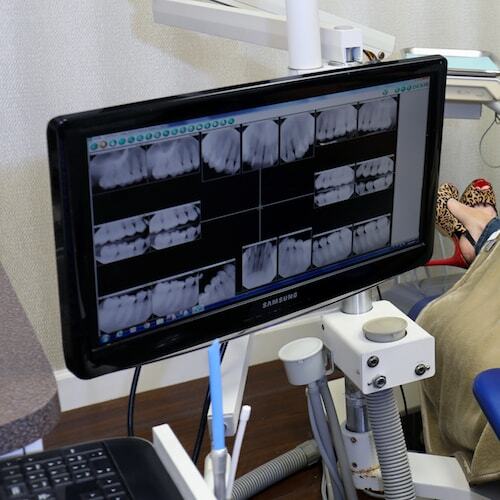 We are proud to offer digital x-rays, laser dentistry, Intraoral cameras, and Niti Endodontics, all created to ensure you get the best treatment possible. 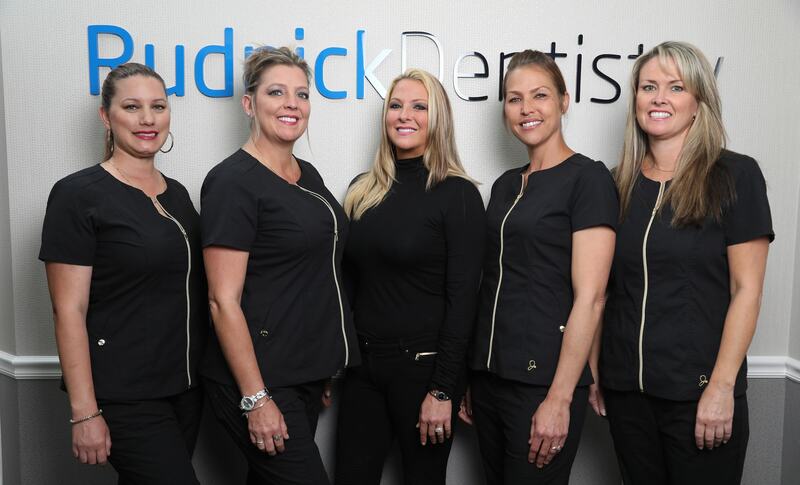 Dr. Rudnick has been named one of the top dentists in Palm Beach Gardens due to the experience he provides to his patients. That begins with our calm and relaxing office, where we use in-house comforts such as iPads, TVs, a beverage station, blankets, and wifi to keep our patients happy. Visit our wonderful office today! See how we are different than most dentists.